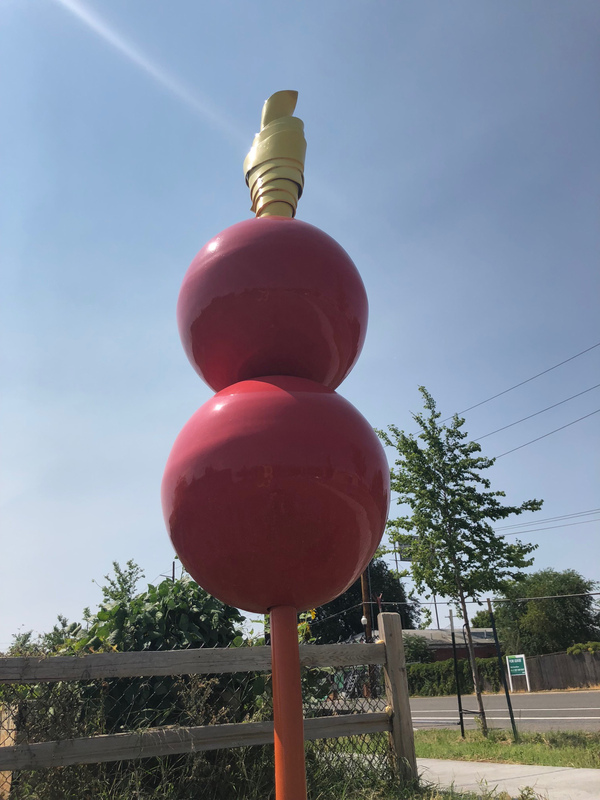 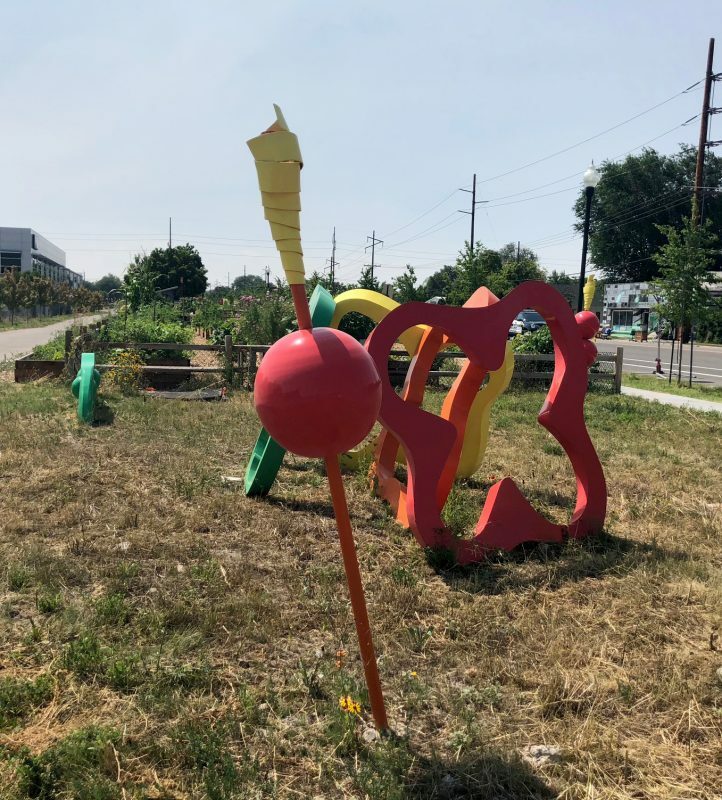 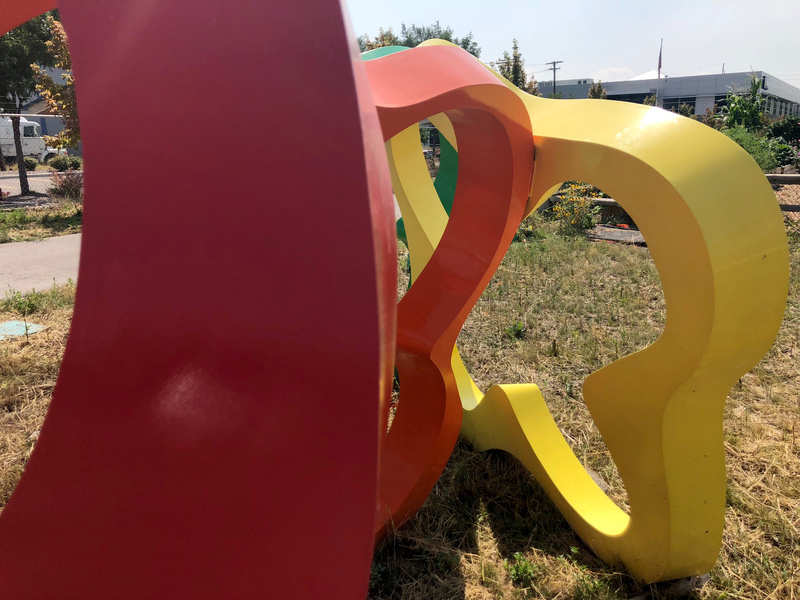 Originally, this piece by Greg Ragland was installed in an empty lot in the Central Ninth neighborhood, where the city had helped local residents organize a community garden. 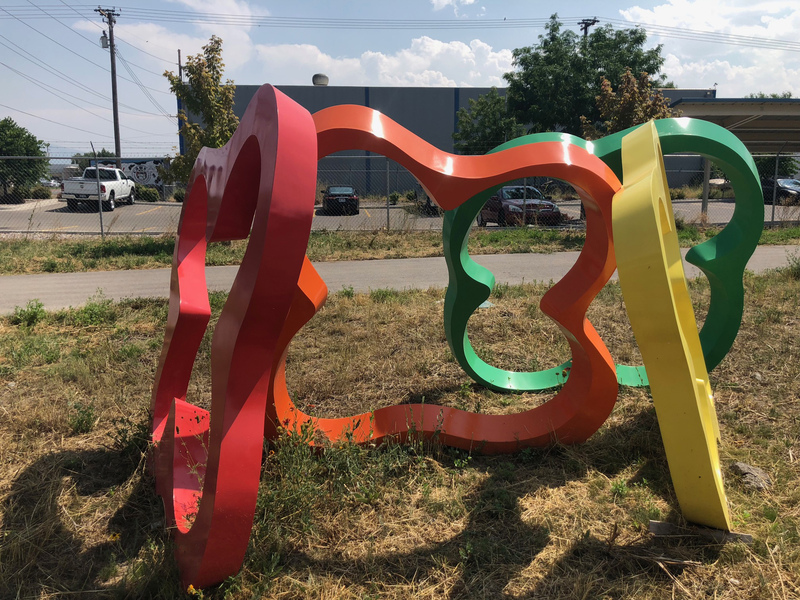 Since then, the neighborhood has gone through a revival, so the lot is no longer empty, nor a garden, and the sculptures were moved five blocks west, just past the freeway. 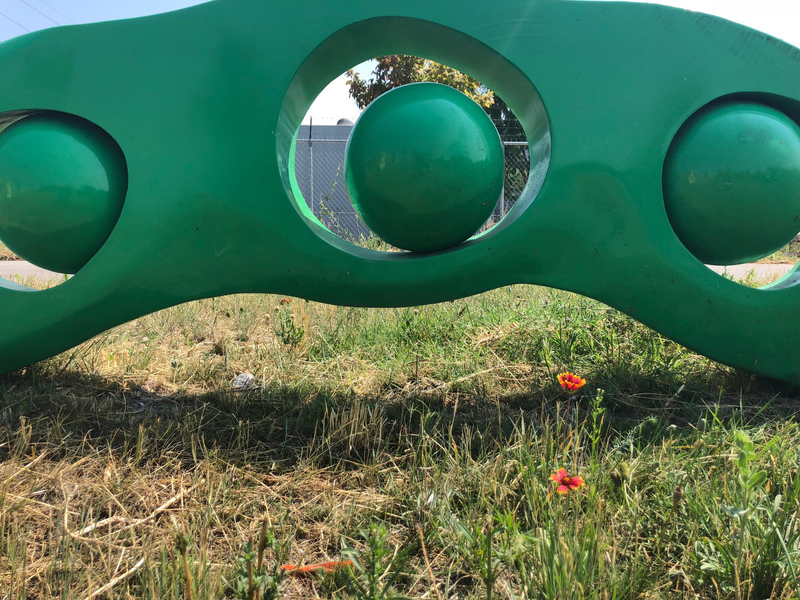 You’ll now find it near the 9th South bike pump park, where once again it highlights a neighborhood garden and brightens the neighborhood.